When I started at DFM nearly two years ago, I thought I knew what my position was about. I assumed based on my past experience, that I would go into the community and help market DFM and be in charge of all sales inquires. While that’s still a piece of my job, what I fell in love with was project management. The great thing about DFM and its relationship with their employees is that we are allowed to figure out what we want to do in our constantly changing environment. While all of our team members have the understanding that we must work together to complete the needed task on a project, we are always looking for opportunities to personally discover what we love to do. Roughly six months ago, I had reached the point that most millenials know well at a job: I felt unappreciated, undervalued, and tired of the monotony of a cyclical, conventional job. I was in marketing, which sounds fun in theory. Marketing has branded itself (see what I did there?) to be this exciting, creative field. But, when you’re put in a box and not allowed to explore the limits - as you often are as a youngin’ at any established company - it’s incredibly stifling. Thankfully, my friends at Digital Frontiers Media were expanding and offered me my current position in web development. Because of an internship I had in college, (and from being a nerdy teenager), I had a lot of HTML and CSS experience, and, being in marketing, I had worked with content management systems and development houses before. According to Simply Measured, new research shows that Instagram is the fastest growing social platform in the past year. Instagram’s year-over-year growth by Fortune 100 companies was 14% compared to Pinterest that came in around 10%. Also, compared to Google+’s 10%, Twitter’s 0%, and Facebook’s -1%. Companies that have seen major growth on Instagram are companies like Starbucks, Nike, and MTV with each over 1 million followers. MTV’s latest success story was the pictures posted surrounding the Movie Awards. Sarasota—Luxury custom homebuilder John Cannon Homes, Inc. has recently named local award-winning branding-firm Boost Studio as its new agency of record for branding and strategic communications. The highly anticipated Google Glasses are about a year away from regular distribution. There is no doubt the $1500 price tag may send people away, but with the buzz currently all over the internet it seems that this could be a bigger success than analysts might have thought. Google Glasses, also known as “Glass,” sent out beta version of the glasses to some select developers and users to start testing. Developers are being encouraged to start developing apps for the device. However, regulators are already fighting to ban the glasses since you can be recording without anyone realizing that you are recording. In fact, a bar in Seattle last month bans the glasses from being worn inside. Google says they are committed to developing social etiquette and helping in cases were privacy could be compromised. Even with the $1500 price tag, do you think you will buy them? Regional branding firm Boost Studio was recently honored by the American Advertising Federation – Suncoast for excellence in advertising design. 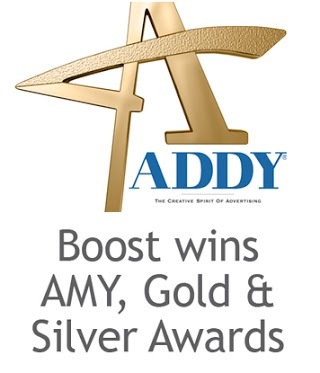 Boost was awarded the top-level Gold ADDY award and the best-in-category AMY Award for sales promotion during the 2012 calendar year. 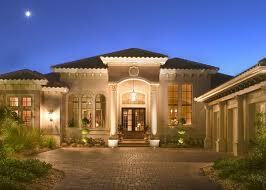 Page Ranking is one of the most popular discussions when considering a new website. In fact, if I hear another CEO try to explain the importance of SEO to me one more time, I may shoot myself in the arm because it would be less painful. (Insert political joke here). Most companies look to the developers for making their website “#1 on Google” through the use of meta-tags, unique URLs, and other old development tactics that helped before CMS’s did it all for you. Successful SEO isn’t from your development. Although they are different from one another, microsites and landing pages can be used in conjunction with search engine optimization, search engine marketing and online advertising for more targeted content. Usually only one page, landing pages are important for lead-generation as they lead the visitor to take an action. Essential to the success of direct marketing campaigns such as pay per click search engine marketing, direct mail, print advertising, etc., we use and test many different landing pages through A-B testing or Multivariate testing in order to optimize conversion rates.